Vote Hemp works to empower businesses, farmers, hemp advocates and consumers with education about the benefits of hemp and by providing advocacy tools to contact your legislators. The amazing progress the hemp industry has made is a result of strong grassroots advocacy and lobbying. We encourage you to use our site to educate yourself about the benefits of hemp for family farmers and the benefits of hemp products. Hemp is a valuable and versatile plant which produces tall fibrous stalks, nutritious and tasty seeds and phytocannabinoid rich flowers. More than 25,000 products can be made from hemp including foods, paper, bodycare, dietary supplements, auto parts, building materials and more. Vote Hemp’s founders were members of the hemp industry who recognized the need to bring back hemp to the family farm. When Vote Hemp was founded in 2000, all of the hemp products sold in America were imported from other countries. The U.S. had an outdated policy that conflated hemp with marijuana and treated it as a dangerous controlled substance. Our founders and other hemp industry members understood that American farmers should be allowed to grow hemp just like farmers in Canada, China and Europe. We also wanted to be able to conduct research on hemp and source materials domestically. The argument was simple, powerful and just but would require an advocacy organization to organize and lead the effort. 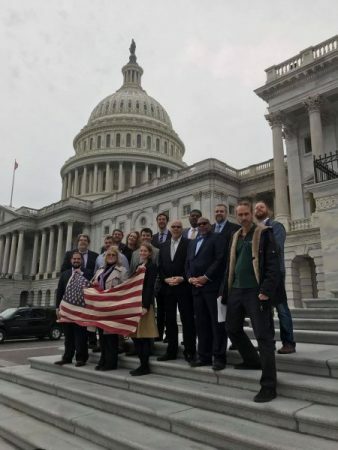 For almost 2 decades we have been the voice in Washington and at statehouses around the nation educating and advocating for the return of hemp. We have worked with thousands of business owners, farmers and activists along the way. We provide them with hemp facts, educational materials, economic research and advocacy tools to empower them to help us accomplish our goal. Vote Hemp has been at the forefront of defending the hemp industry including Vote Hemp board members playing a lead role in crafting and leading the effort to win the critical HIA v. DEA case in 2001. Check out some of the legal efforts we have been involved in to defend the hemp industry against bad laws and regulations.